Patented Skinny 1/2 inch wide suspender straps for Gal and Teenagers are hot trendy fashion accessories this year. Try out a pair today. We are amazed at the demand for our 1/2" wide skinny suspenders which were just added to our lineup of 3/4" wide thin suspenders introduced in 2009. Purchase these in 10 colors below for $17.95 ea. using our secure shopping cart. All color choices are 42" max unisex length to fit both Guys and Gals to 5' 10" tall . Only the Holdup brand skinny suspenders have the Patented no-slip clip. on a new fashion wardrobe makeover with just the snap of our patented Chrome finished no-slip suspender clips. These exclusive clips are guaranteed to never slip-slide or pop-off your pants waistband. The needle sharp center pin pierces and holds any clothing material without ever fraying like normal pressure alligator clips. You've found the largest selection of skinny 1/2 wide suspenders on the internet. More colors are being added. Durable, colorful and washable these 1/2" wide elastic strips, with our patented chrome finished no-slip clips, are guaranteed to never pop-off your shorts, pants, jeans or skirts like all our competitors suspender clips. All purchases of any Holdup Suspender product comes with a 100% total satisfaction money back guarantee for 30 days. Since 1997 more suspender wearers choose the Holdup brand then all competitors combined. The Skinny suspender series have a adjustable max length of 42 inches (fits folks up to 5' 11" tall) and they come in X-back style only with 4 silver tone triple plated clips and length adjusters. Buy below for $17.95 ea!! Additional colors will be added as they arrive in our warehouse. Tell your friends to get strapped with pair of skinny Holdup Suspenders.$17.95 You can view our skinny suspender straps slide shows to see some of the quality built features. Our Patented no-slip clips set these skinny suspenders apart. These skinny Holdups all have 1/2" wide elastic solid color washable straps with triple plates Chrome finished no-slip clips. 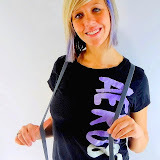 You can wear these thin skinny suspenders with casual pants or jeans, skirts, shorts. Often the teens let them hang loose from their waist bands and the X-back adjusts to any height. You'll find you get noticed at work, play or school when strapping on a pair of skinny Holdups. One size fits both guys and gals with chrome plated lenght adjuster maxed at 42"
Guys love wearing these skinny suspender strap ons too! See the other Holdup thin suspender styles of Patent Holdup Suspenders in colors and patterns in a slightly wider 3/4" width, which now sell for $18.95 to $26.95. Click for colors - patterns and glitter style suspenders in a 3/4 inch wide variety. Who These teens crave a cheap Fashion Makeover. Get a Hot New bargain Look with the snape of a Holdup no-slip clip. We offer more choices in both solid colors and colorful patterns in 3/4" wide thin suspenders... click here to view another page of choices.